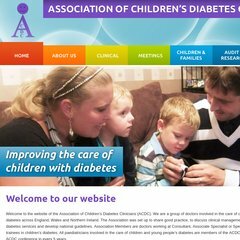 a-c-d-c.org Regional Diabetes Networks | Association of Children&apos;s Diabetes .. It is written for PHP/5.3.10 language. Its 2 nameservers are ns0.fonant.com, and ns1.fonant.com. Netrino London Network (England, Maidenhead) is the location of the Apache/2 server. PING www. (84.234.17.133) 56(84) bytes of data.